Register for a 5 minute solo audition, either live or video with audition link below. Live auditions are held Tuesday, April 30th from 6-8 p.m. and Saturday May 4th from 3:30-5:30 p.m. at the Hope Church. Video submissions will be accepted through May 4th at 11:00 p.m.
​There is NO FEE to participate in this competition. to a wide variety of music genres. Through teamwork, friendship and acceptance of young musicians with ethnic, economic and religious diversity, the chorus will provide the participants with a supportive, educational environment that will promote excellence in music learning. 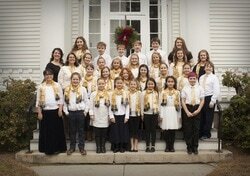 GNCC Juniors is our younger ensemble, made up of children in grades 2 & 3. No auditions are required for this age group. The GNCC Juniors rehearse on Tuesdays from 4:00 - 5:00 p.m. at the Hope Church in Newburyport. Click on RED link above to register for this Spring 2019 program. The Chorus runs for 2 semesters a year with performances in December and April. Time for GNCC - 4;00- 5:30 p.m.
music & choral theory combined through choral singing. Join our "Voices of Broadway" week - fun for singers in grades 2-8. June 18-21, 2019. Click red button below for registration link! 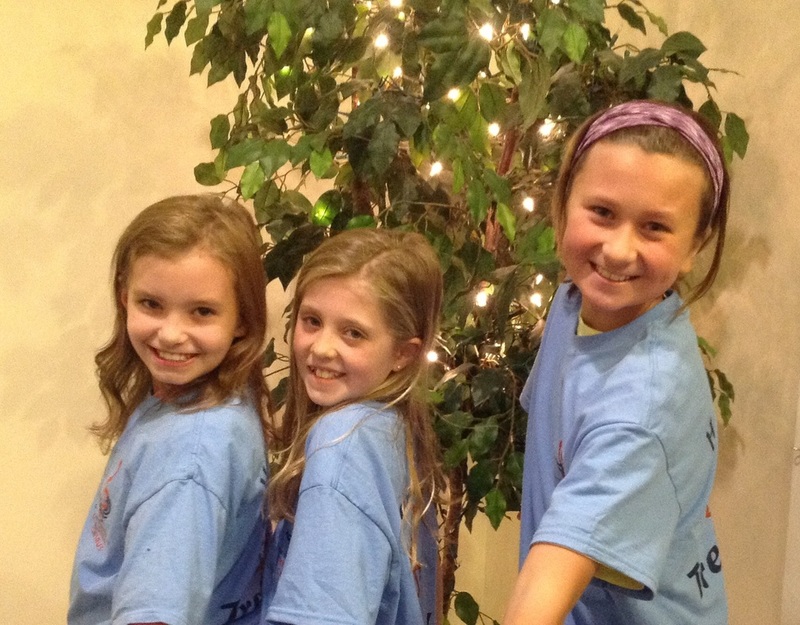 GNCC is made up of local singers in grades 4-8 and require an auditon. This coming Spring 2019 we are starting a new group for high school students that will meet Tuesdays from 5-6 p.m.
We audition in small groups of 1-4 singers and no materials are needed to prepare. We will work with the singer to vocalize, match pitch and sing a familiar song. Let us know if you have any questions regarding auditions. There is a $10.00 one-time fee to audition with the GNCC. Must be paid at the time of audition. When building a chorus is important to match vocal quality of the members. The audition process helps us to choose music and place students in certain sections. We know that this may be an intimidating experience for students and our goal is to make it as stress free as possible. There is a possibility of a student not being accepted into the chorus. Some students may need more general singing experience and we will assist you in finding those opportunities. If your child is not accepted into the chorus your audition fee will be refunded. Payment plans and financial assistance are available. GNCC does not issue refunds. Please make certain that you want to commit your child to the semester of chorus.. Any registrations will be deleted should the registration fee remain unpaid after seven days following the student's first rehearsal. GNCC is a non-profit 501-(c)3 organization and all donations are tax deductible. We are looking for financial support in many areas of the organization. This includes and is not limited to scholarship funds for students in need, sponsorship for concerts, support with choral supplies and literature expenses, rental costs and capital expenses including risers and audio equipment. If you are interested in donating time, talent or giving financial support, please contact us through our email info@gncchorus.org or call us at (781) 710 3825. We thank you in advance for your support of the music in these children's lives. Salisbury Public Library, Saturday May 11th 10:30 a..m.
Greater Newburyport Village Annual Holiday Gathering, Dec. 18, 2019, Senior Center, Newburyport 1:00 p.m. Greater Newburyport Village Annual Holiday Gathering, Dec. 19, 2018, Senior Center, Newburyport 1:00 p.m.
Newburyport Chamber Music Festival Concert, World Premier Concert of "I Could See the Sky" by Kile Smith in Collaboration with Newburyport Chamber Music Festival, Newburyport Choral Society, and The Choir School in Portsmouth. GNCC Spring Sing "Singing Through the Ages!" We are looking for other opportunities to sing for the Greater Newburyport communities. Please contact us if you are interested in having the chorus perform at a community event or function. 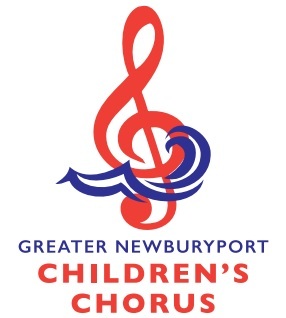 The Greater Newburyport Children's Chorus is a nonprofit 501(c)(3) organization (EIN 47-4387531) and donations are tax deductible.